I've been working on posting some yarns in my Etsy shop this week, along with getting everything together for my classes. Here is a small sampling of the loot: I'm calling this one Rustic Valentine- and I'm having a hard time giving it up! 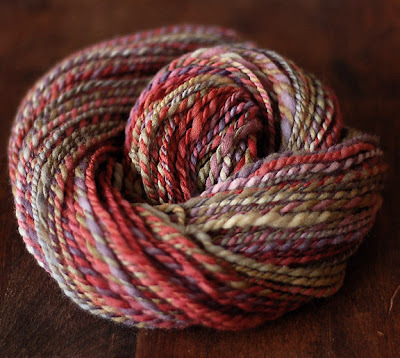 :) It is a combination of two different rovings and should be kind of self striping, but in a subtle way. This skein is HUGE! It is 375 Yards long! I didn't really believe it when I measured it. 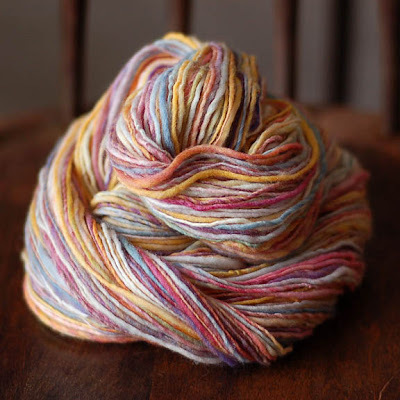 It is about a light worsted weight. Nate decided that is should be named Rainbow Spectacular. This last one is another one of my favorites. 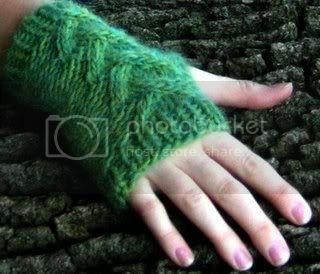 It is domestic wool and should self stripe in a very subtle way as well. In other news, classes are going pretty well this semester so far, but I still know it is going to get a lot busier. Right now I'm trying to figure out what I want my semester 'project' to be for my Eco Art class. I'm thinking of doing a project that centers on crafting in some way. I'm also starting a blog for the Eco Art class so everyone in the class can contribute to the discussions, and post our projects and pictures as the class goes on. I think blogging can be a really useful classroom tool, and I hope to use it for my classes in the future. Oh are you taking it will Bille? How are you liking it so far? 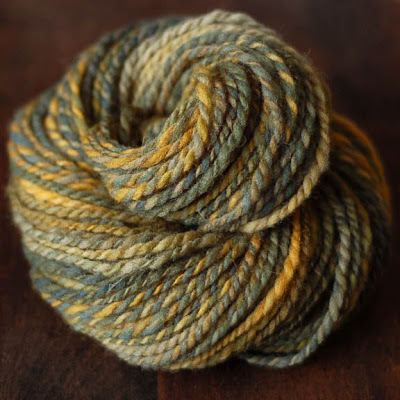 ps - the yarn is beautiful! Yum yum yum! That yarn looks lovely! The colors = fantastic.